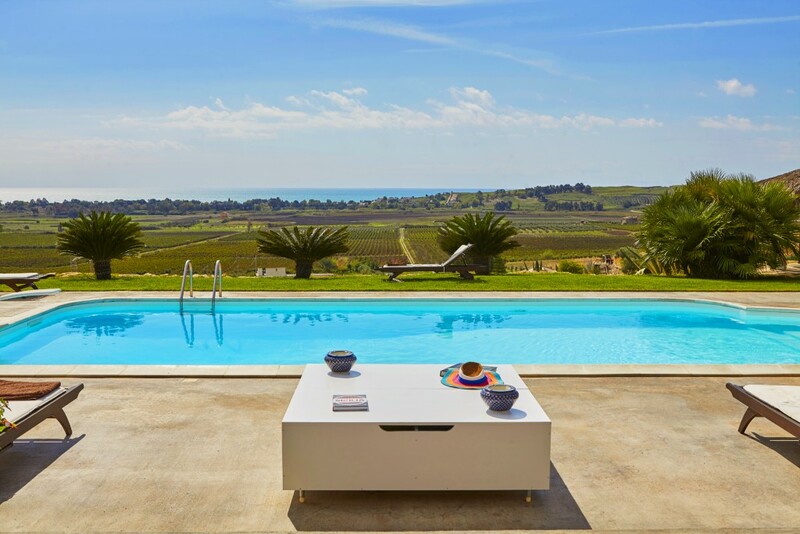 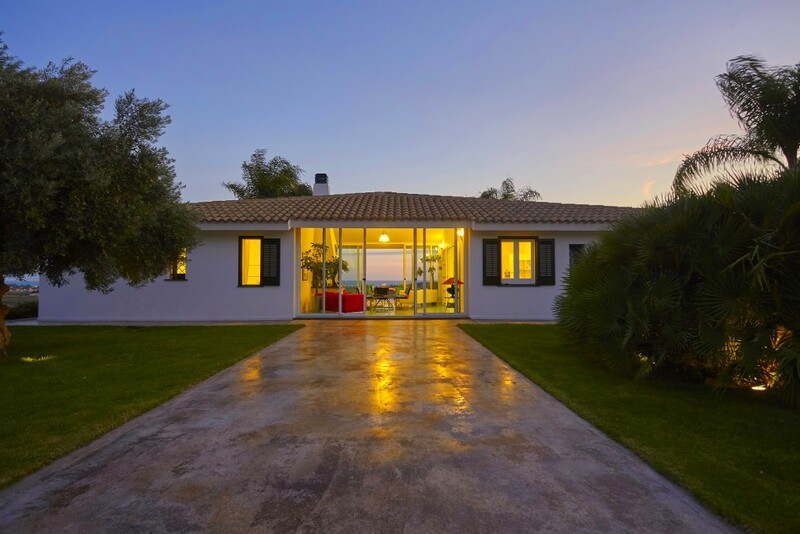 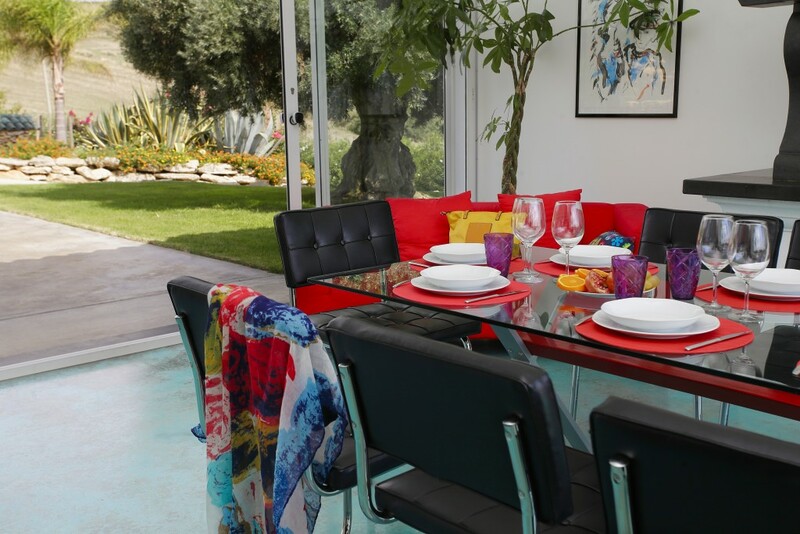 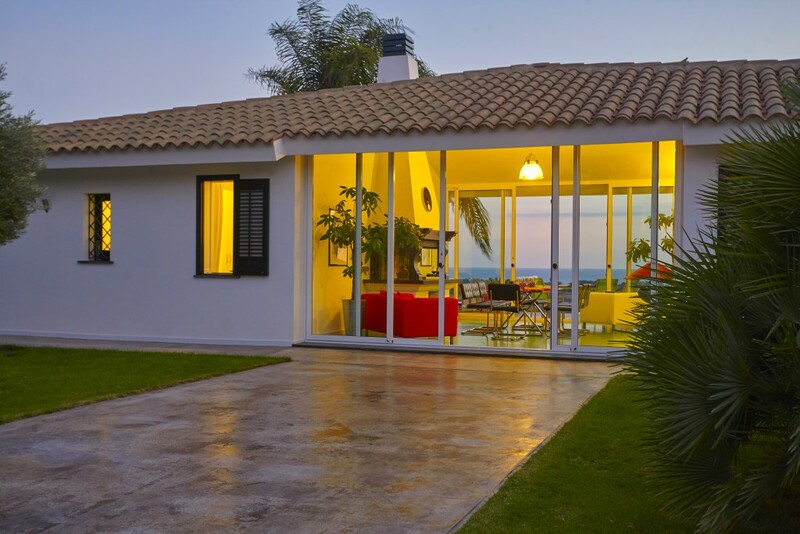 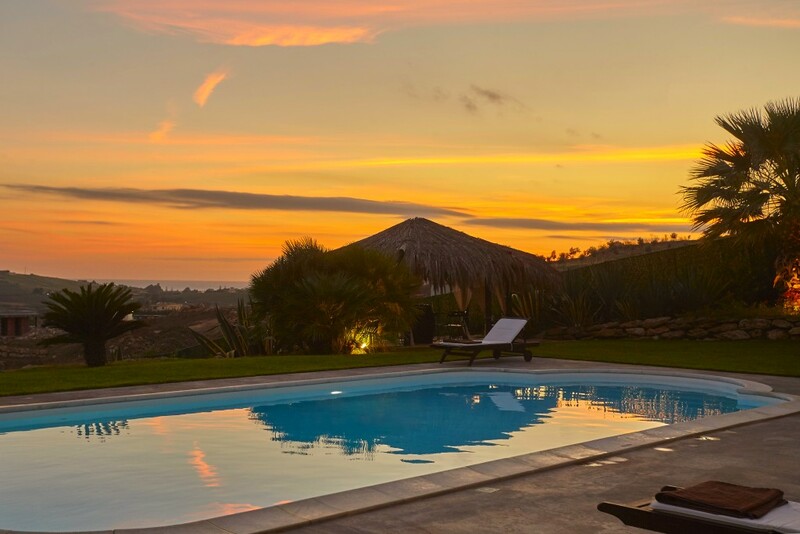 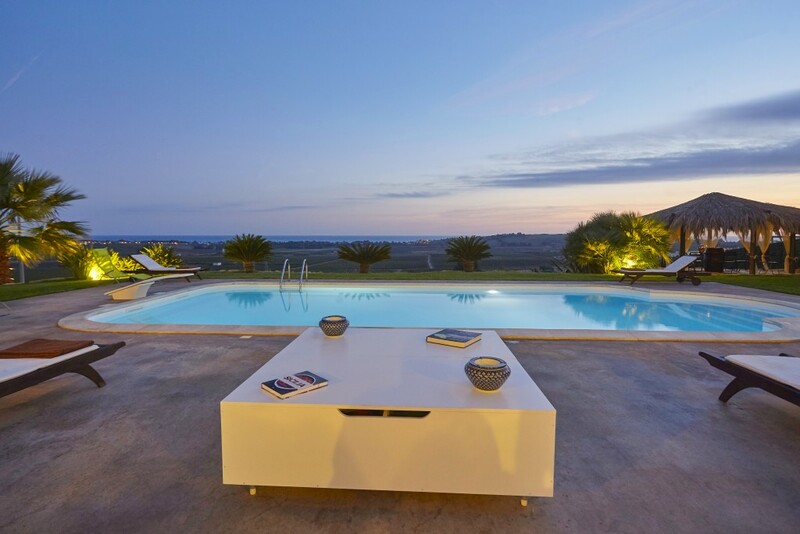 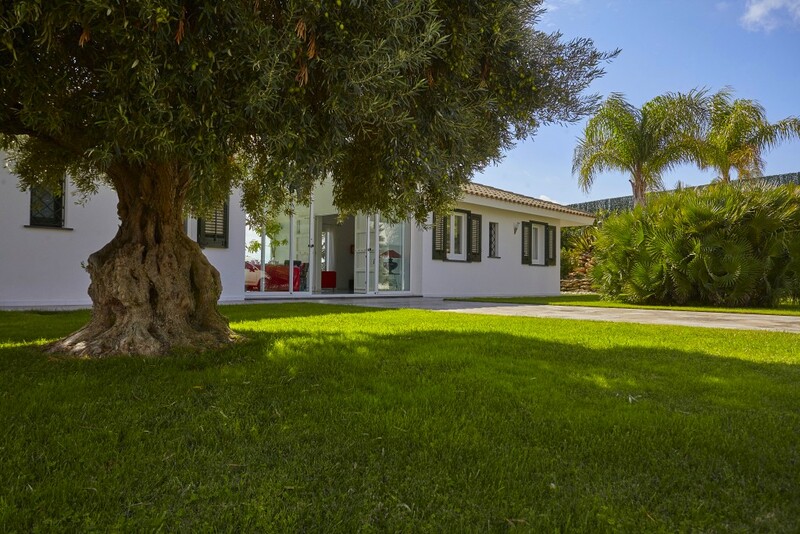 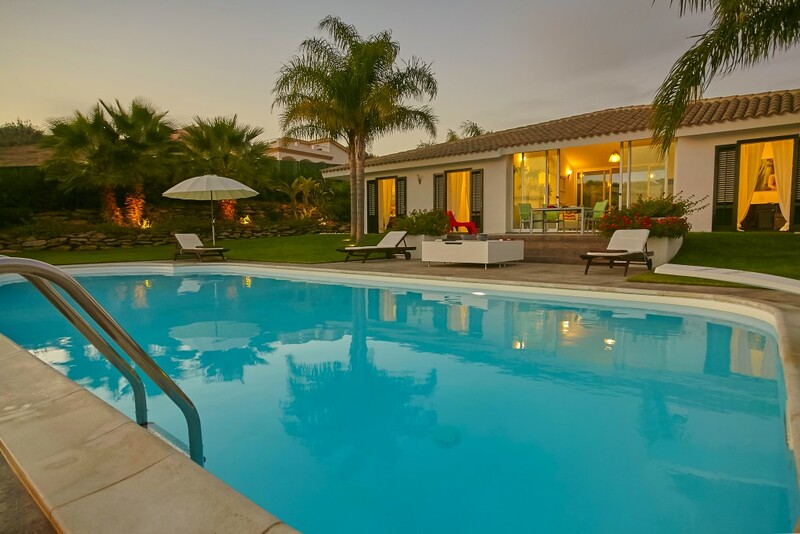 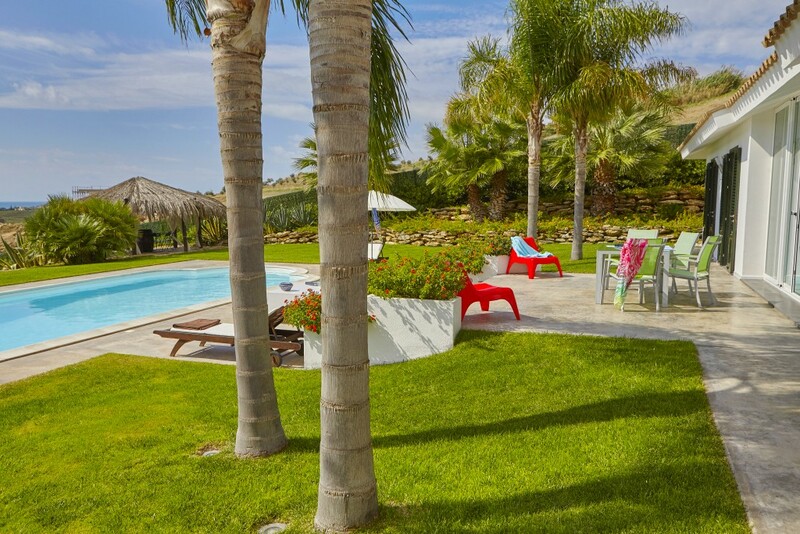 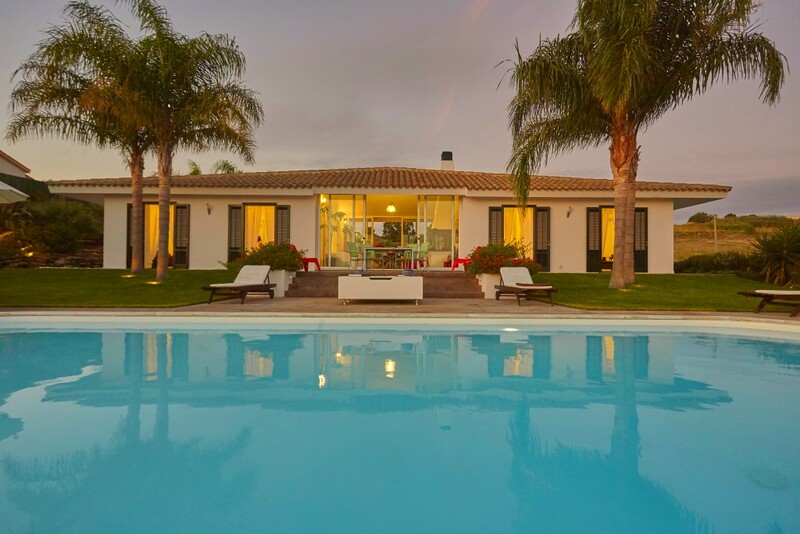 Villa Bonera is a light, airy, family villa overlooking a magnificent vineyard. 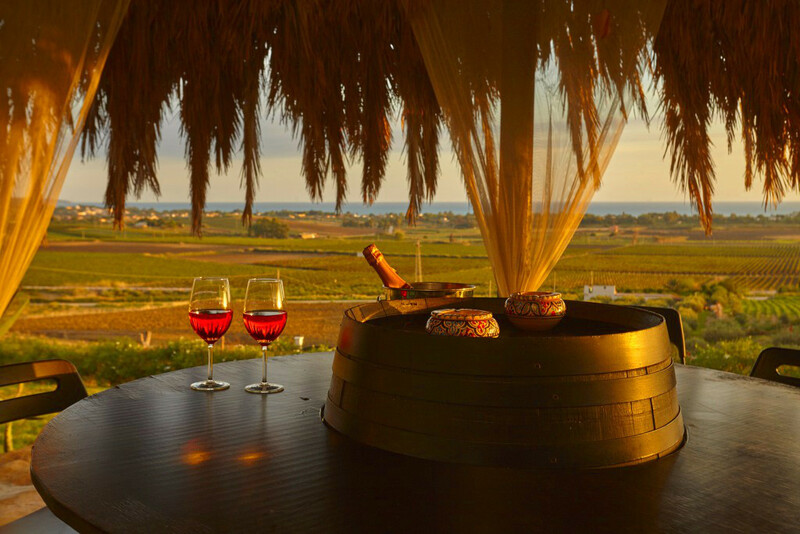 Sitting atop a panoramic hill, it is the perfect retreat if you want to dive into the Sicilian wine and food experience. 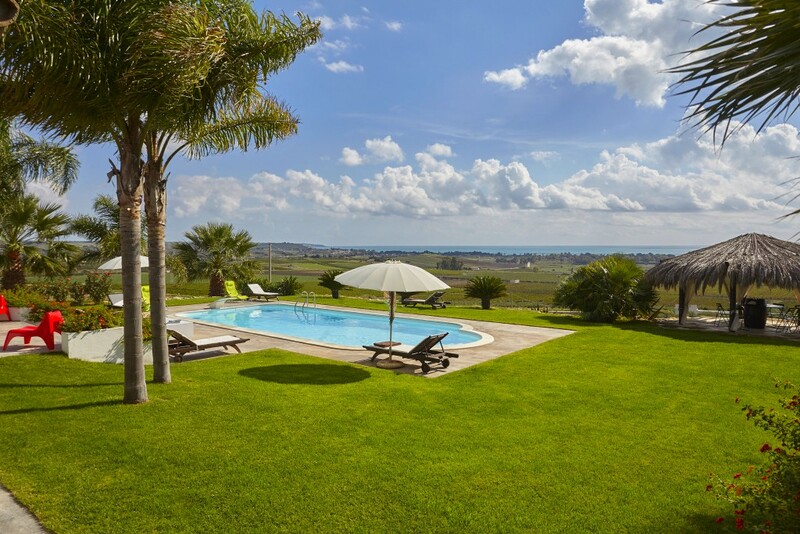 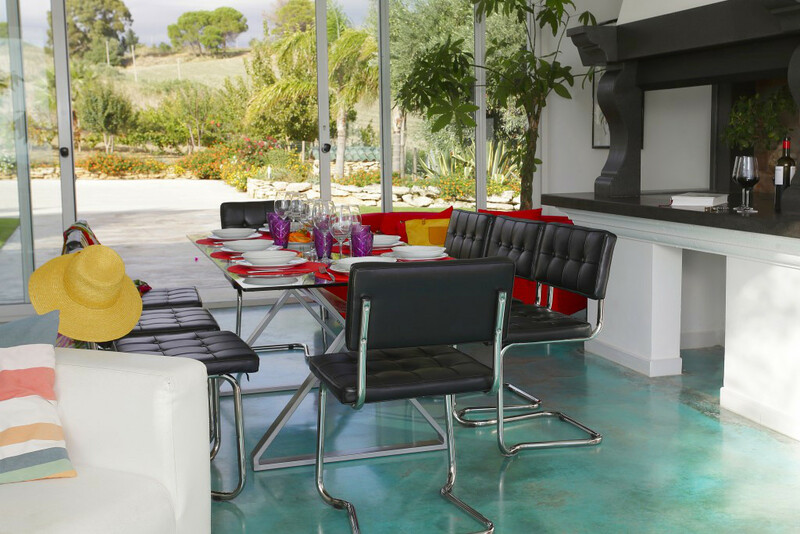 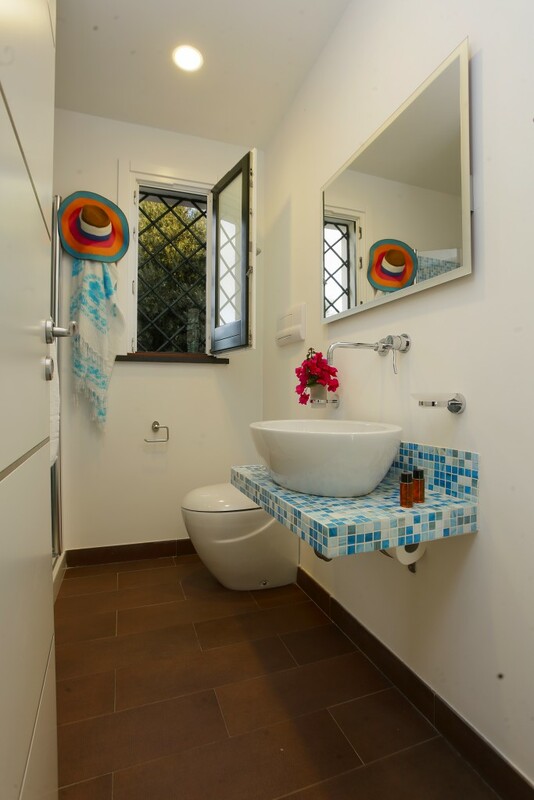 This beautiful well-designed property has a peaceful, elegant, garden full of the vibrant colours of the Sicilian countryside. 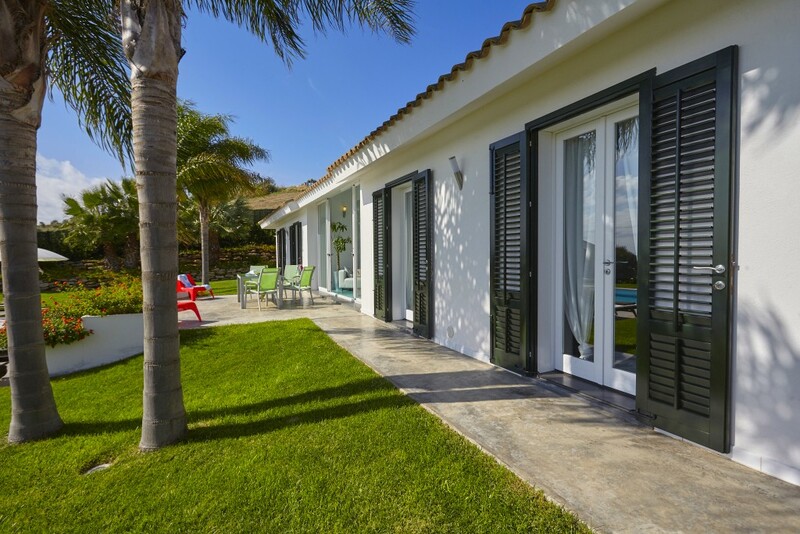 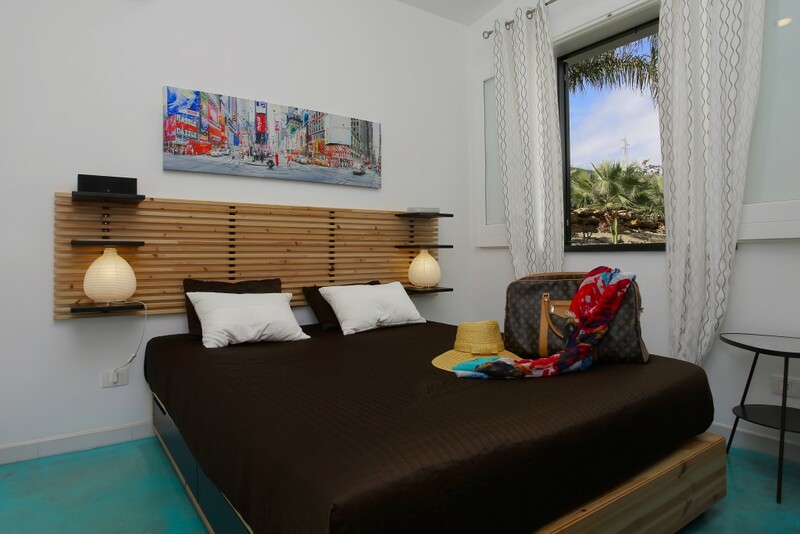 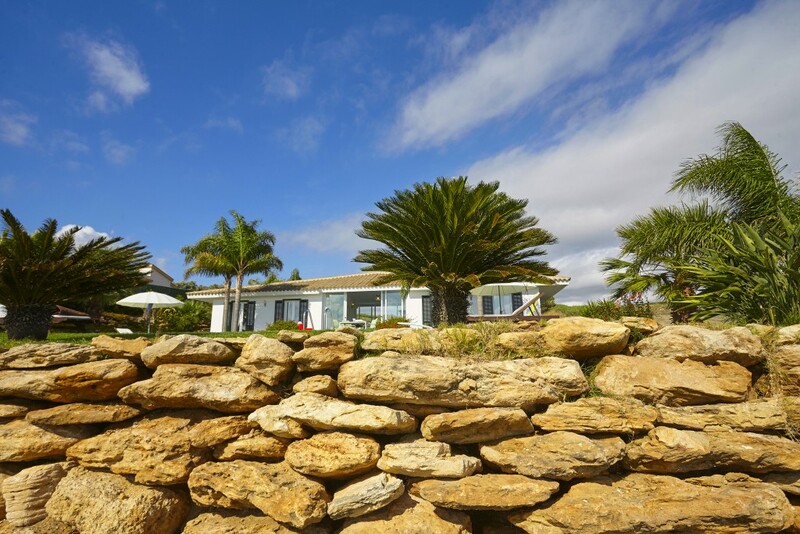 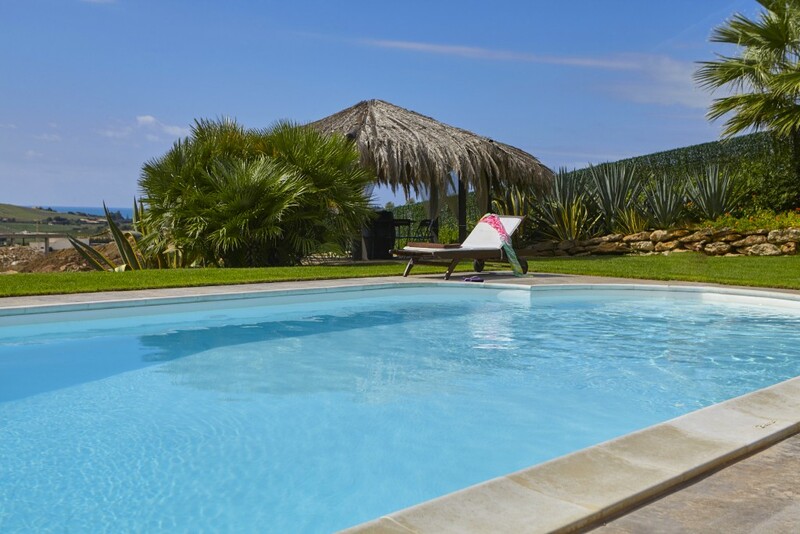 Villa Bonera is just 5 minutes from the stunning sandy beach of Portopalo di Menfi which is well known for its clear, blue water – Blue Flag 16 years in a row, and a Green Flag –it is recommended by doctors as a safe beach for children. 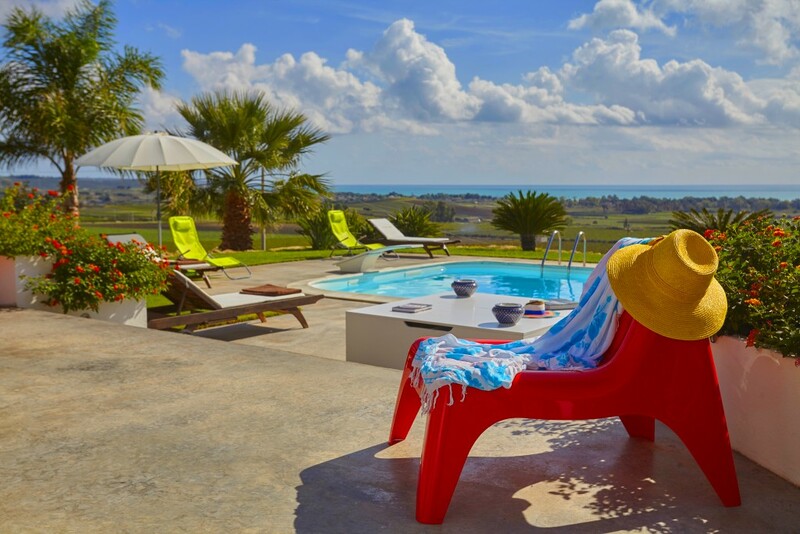 If you’re a golf lover Villa Bonera is just 20 minutes away from the Verdura Resort golf course. 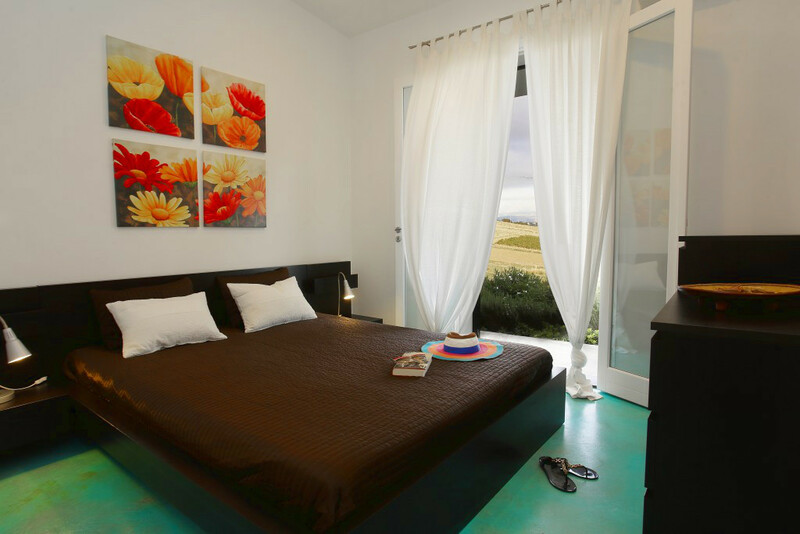 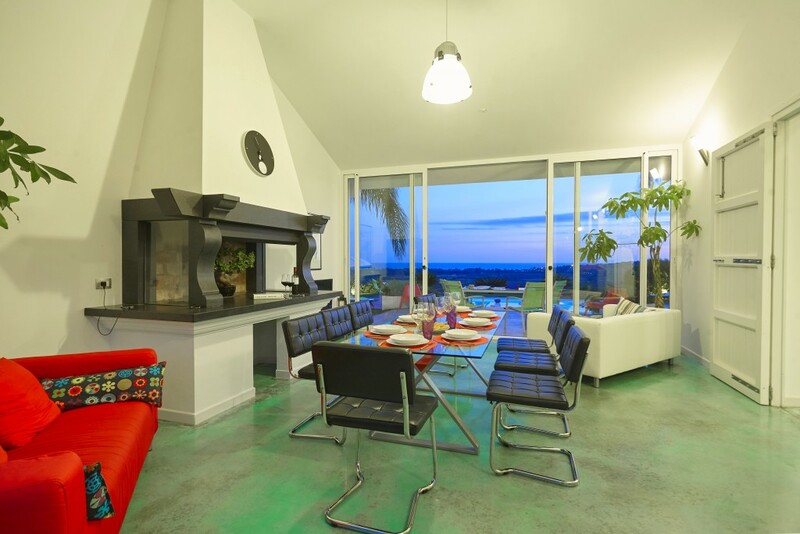 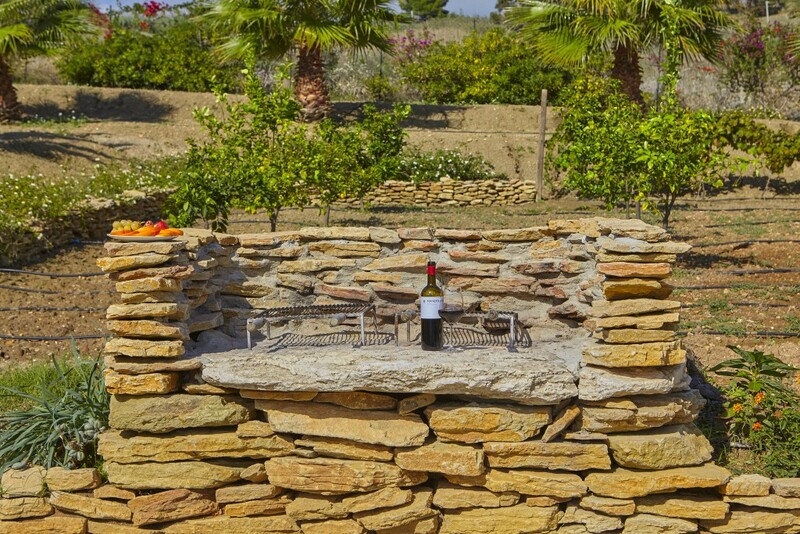 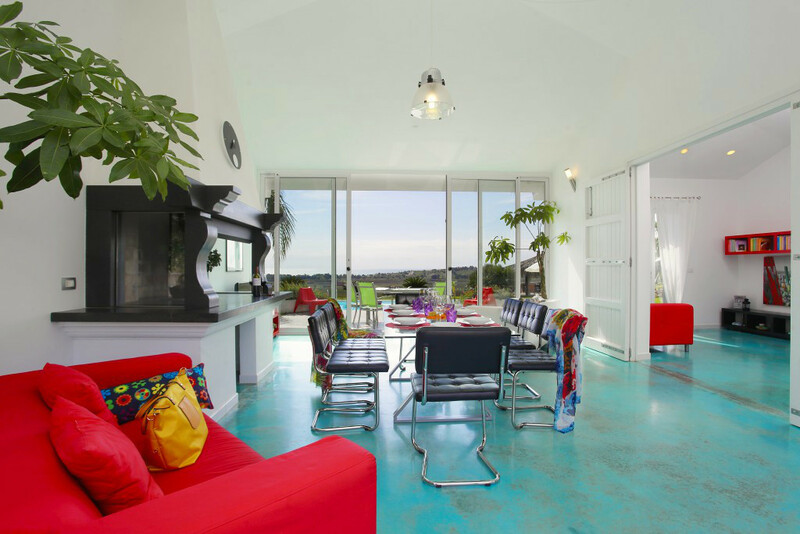 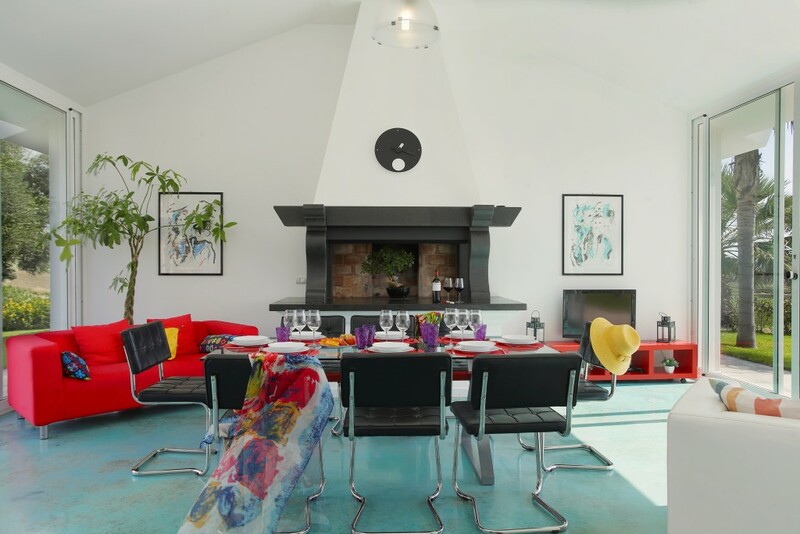 Accommodation at Villa Bonera is articulated in two sections and centred around the light living room with a stone fireplace and dining table looking out over the garden and sea view. 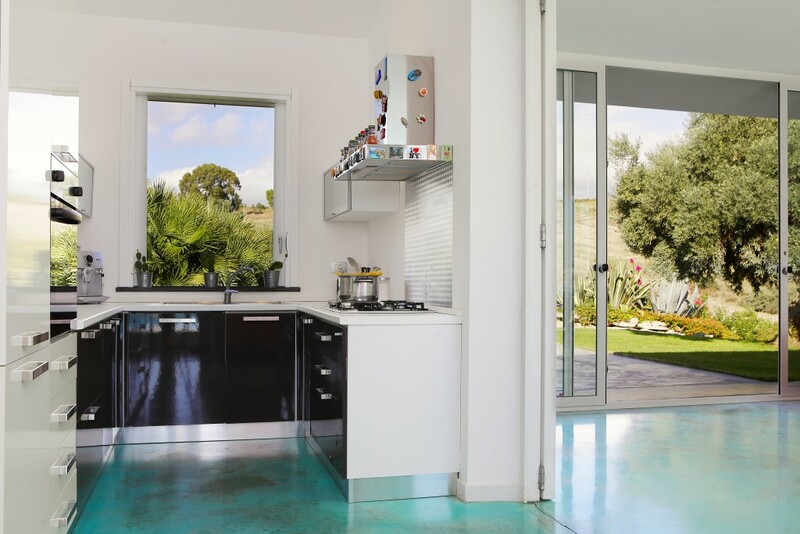 The living area with modern furnishings gives access to a small but well-equipped kitchen and two bright, double bedrooms and bathroom. 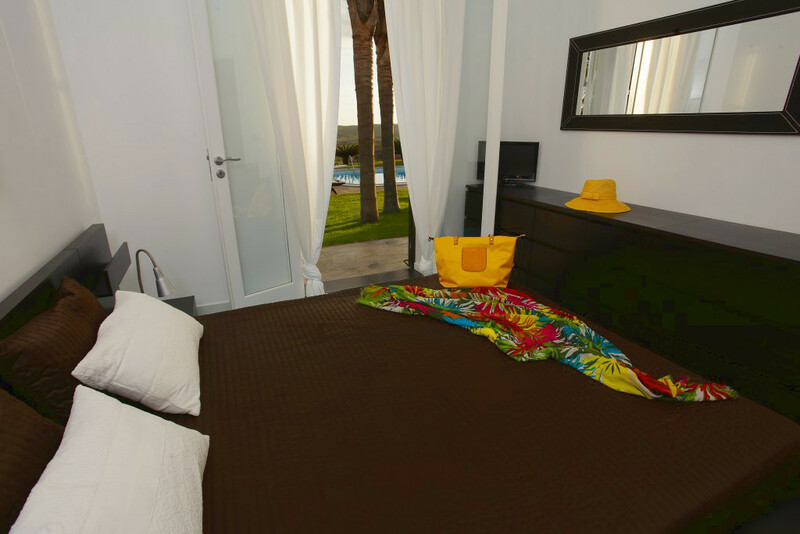 The east wing of the villa has a separate entrance and is made up of two double bedrooms, one twin bedroom (bunk beds) and a shower room. 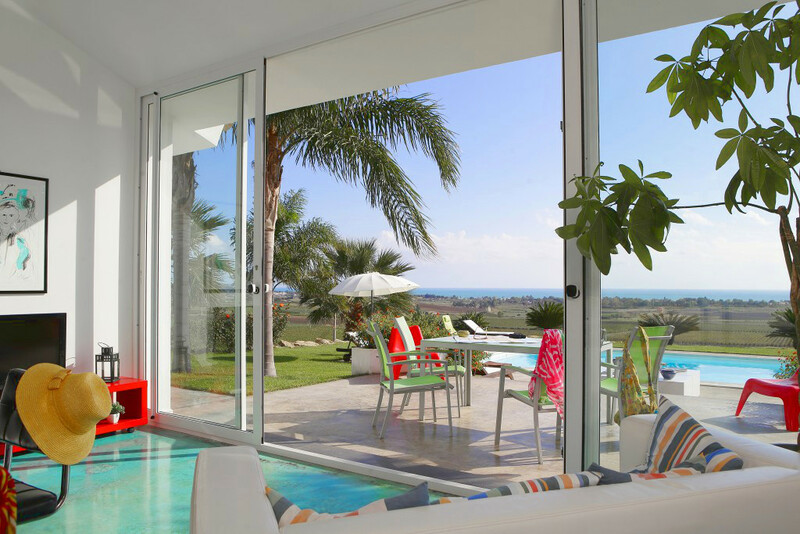 The panoramic living room of the house gives onto a fabulous garden surrounded by palms and olives grooves equipped with comfortable lawn chairs and sun-beds. 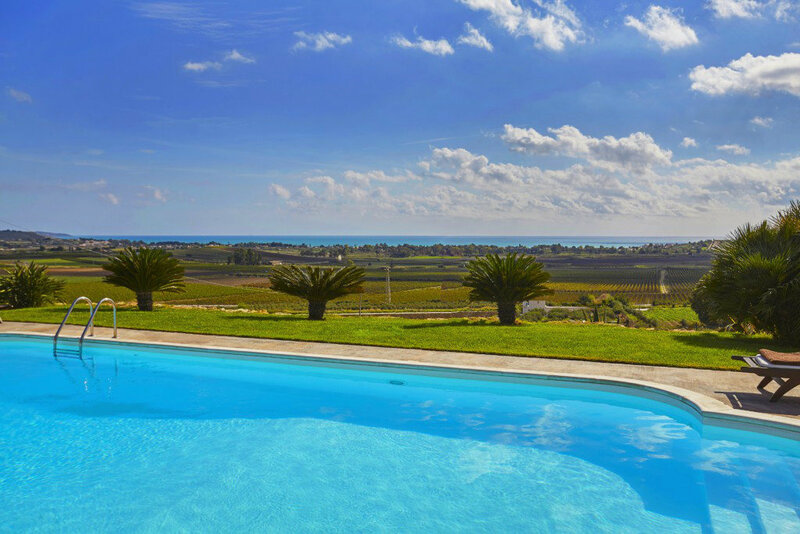 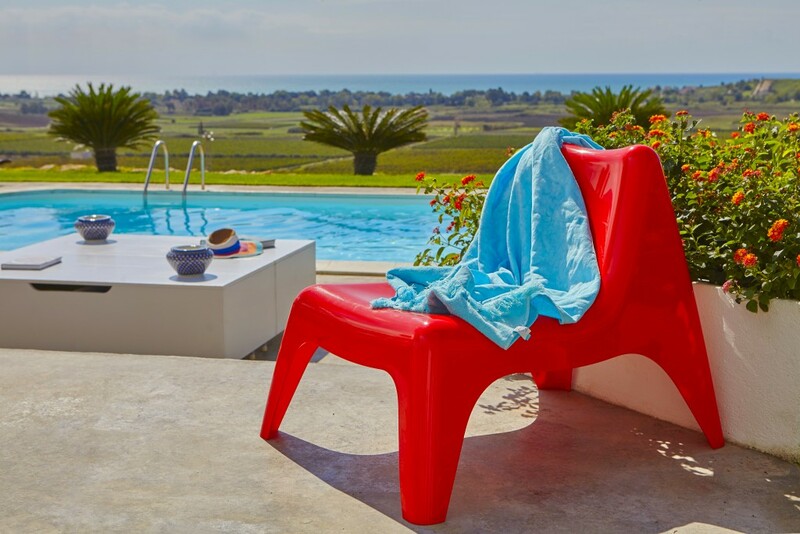 A large pool with crystal-clear water is perfectly positioned so as to overlook the vineyards and artichokes fields, so typical of the Menfi area. 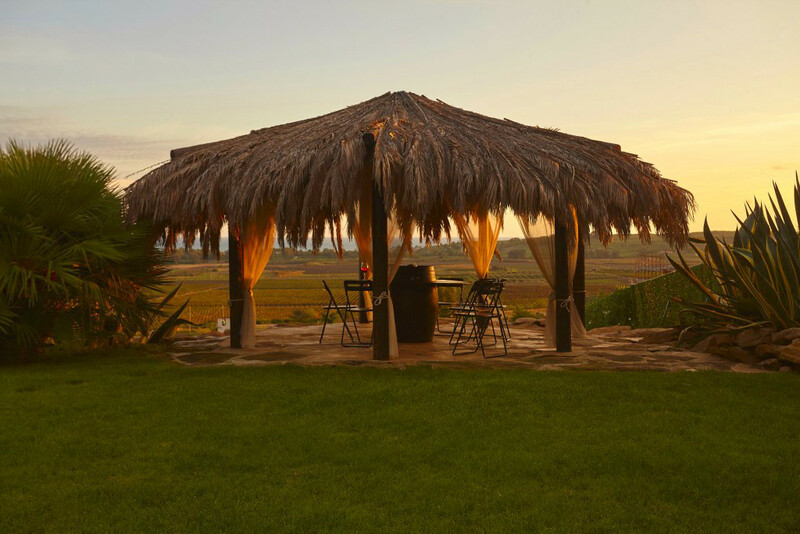 This amazing oasis of peace is completed by a tropical corner – just perfect to enjoy a glass of Sicilian wine and admire a red sunset. 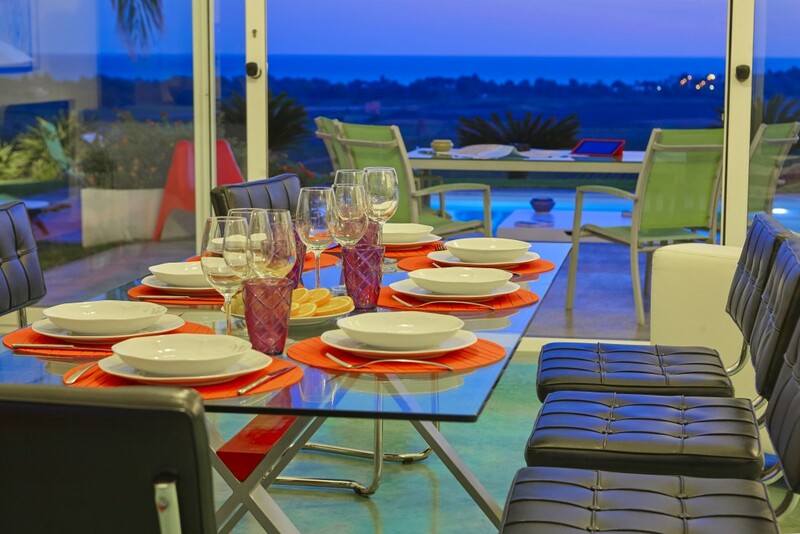 10 pers. 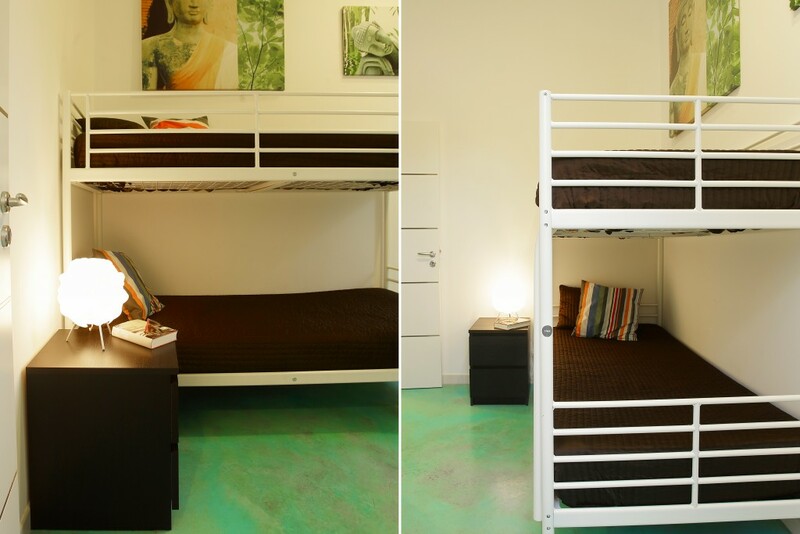 – 150 sq.m. 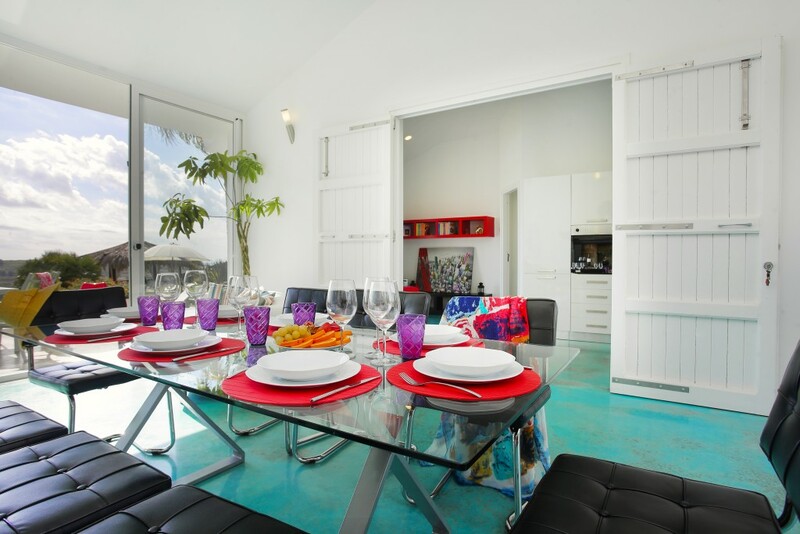 Large living/dining room with open fireplace, kitchen, 4 double bedrooms, 2 shower/wc, 1 bedroom with a bunk-bed. 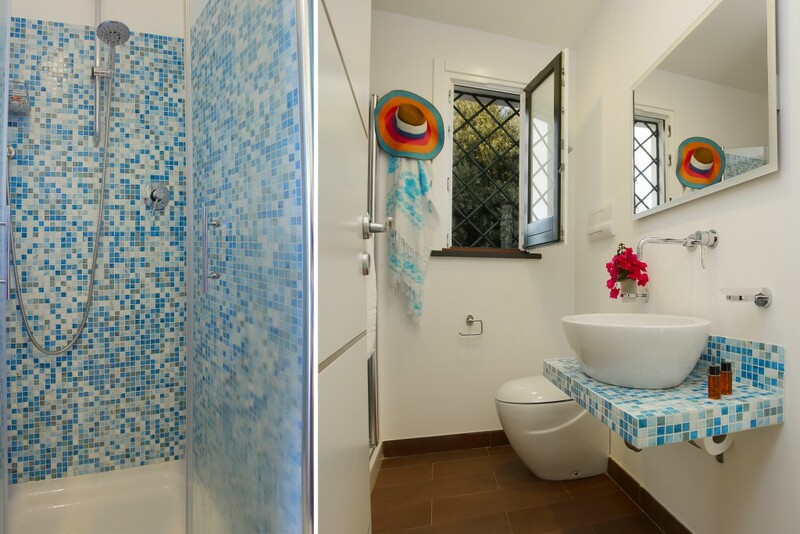 Outside: 1 shower room, 1 toilet, small room with whashing machine.